Raid freezer for chillies, and garden for lemon grass. 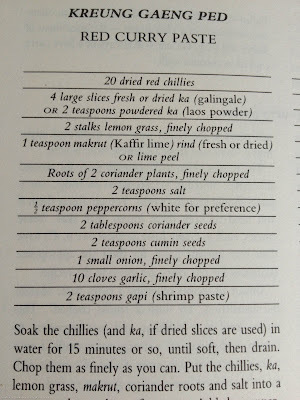 Ignore the reference to 20 chillies, I mean seriously?? Add rest of ingredients and pound and chop and mix. Develop coughing fit due to high level of volatiles being inhaled. Add to cooking because everything tastes better with a teaspoon or two of curry paste to spice it up. 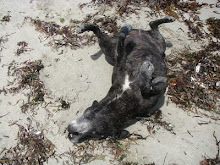 Do not offer to others as will probably kill them! 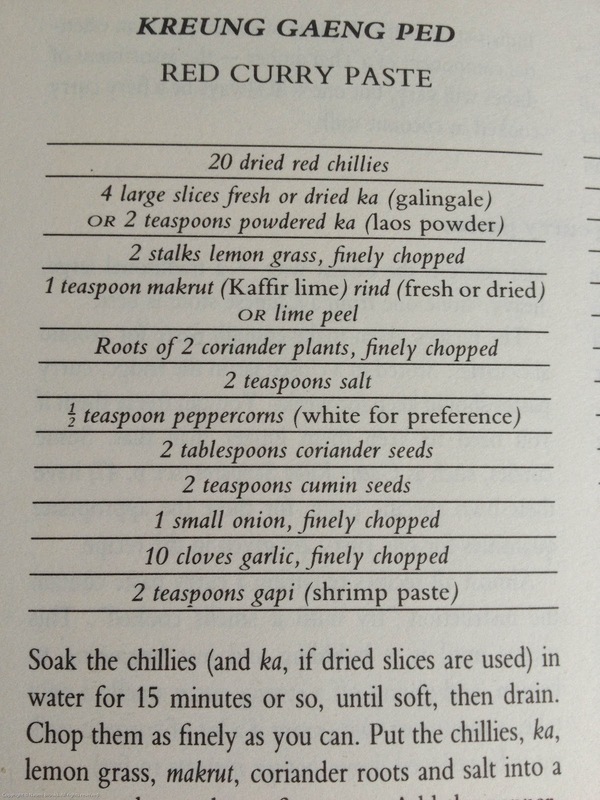 "Ignore the reference to 20 chillies, I mean seriously??" 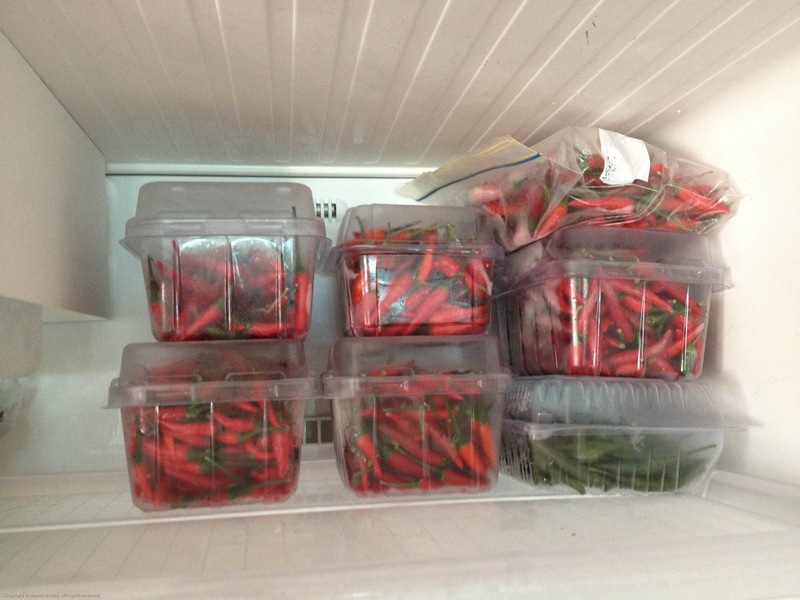 With that many chillies in frozen storage - you must be an addict! I find freezing them direct from the garden is easier than drying them. 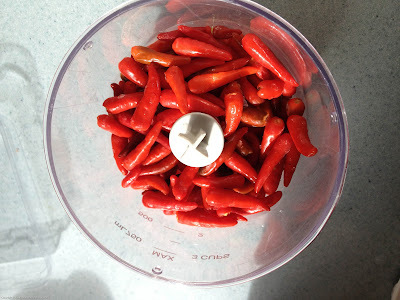 Since you usually have to soak dried chillies for recipes this cuts out one step in the process. I suspect there is more like a thousand chillies in that freezer, finding enough recipes to use them in is a challenge. 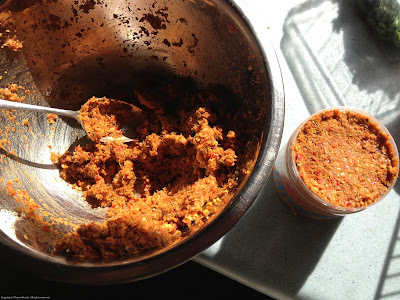 My two mainstays are sweet chilli sauce and red curry paste. I learnt in Indonesia how to get through the heat experience and out the other side. That's when chilli becomes a taste enhancer. It requires eating mammoth amounts of the stuff, and leaving all your non chilli eating friends behind, but it's worth the taste sensation.